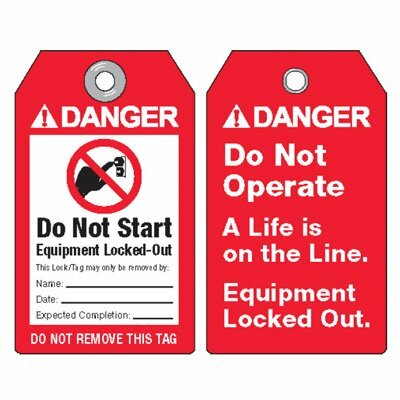 Sold 25 lockout tags per pack. DO NOT OPERATE. A LIFE IS ON THE LINE. EQUIPMENT LOCKED OUT.